Needless to say-It has been the winter of our discontent! 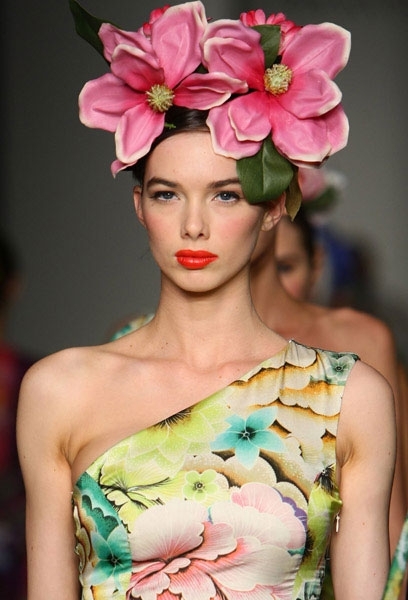 But, despite the dreary weather things are sure to heat up with Flirty Fun looks for Spring /Summer 2011. We will give a roundup of this season’s top trends, plus what must-haves you Must Have for the Spring/Summer season. Good News: Color is Back! 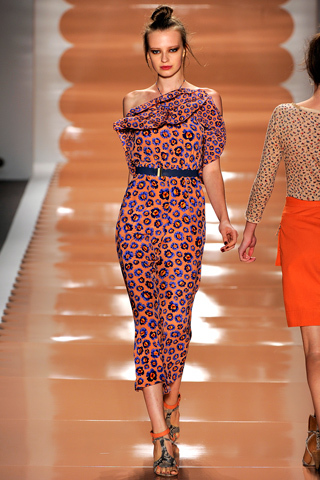 And there are enough bold colors and eye-popping prints to shake the winter doldrums right out of you! 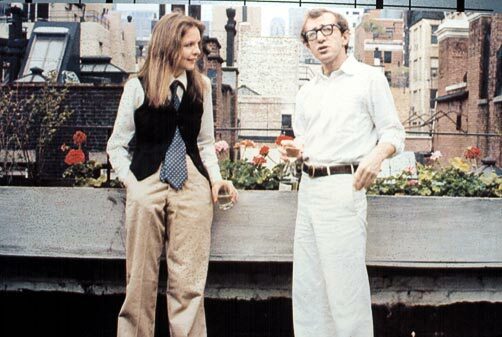 We will also take a look at one of my favorite relationships: The marriage of Film and Fashion and how a costume designer’s vision is translated on to the silver screen. So-let’s get started! Color My World: To Boldly Go! Bold, bright and beautiful…color is back from knockout neon to fire engine reds that will turn your head! Color blocking is the new trend. 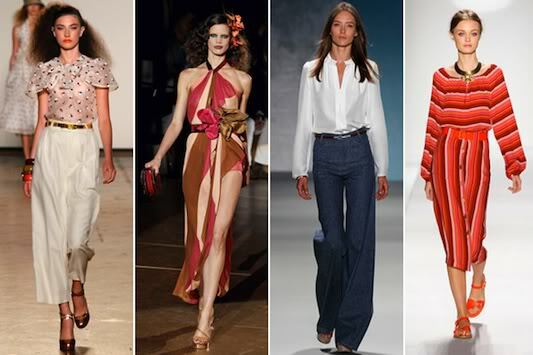 Perhaps designers were paying homage to the late Yves Saint Laurent, or resurrecting a 70’s fashion moment-runways were ripe with juicy fruit frocks from New York to Paris. Some of my favorite looks include New York’s Marc Jacobs and light bright pantsuits from Gucci, and a beautiful red evening ensemble from Lanvin. How to translate these colors to the street? Easy- just pair a bold color with black or other neutral color-so you get the kick without the clown-like effect. But, all bets are off if you decide to go with a boldly colored dress-in this case I say: just go for it! Color blocked! It seemed some designers opted for a complete White Out when it came to Spring Summer 2011-the complete antithesis of the previously mentioned bold looks. Not only were the runways full of no-fuss in the color category, designs were also no-nonsense with cool clean looks from an array of designers-not just Francisco Costa’s looks for Calvin Klein Collection, which is to be expected. 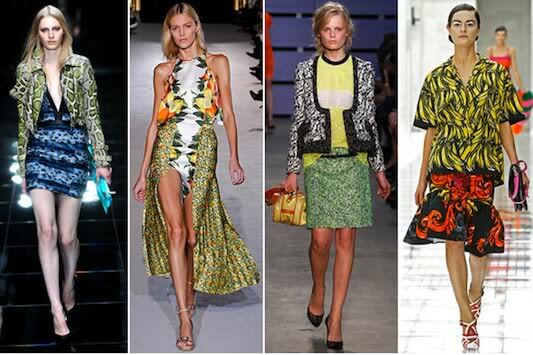 A plethora of prints also graced runways, in everything from Tribal to Floral and everything in-between! Whether you are seeing thrills or attention-there’s a print for you! Designers like: Stella McCartney, Proenza Schouler and Prada were just a few who paraded out the prints! Look for these designs in stores as well as lower-priced versions that capture the essence of this trend. · The Maxi Dress – floral, paisley, polka dot, or bold single color block, preferably halter-neck. While most critics widely panned the film “The Tourist” -criticizing Angelina Jolie and Johnny Depp of having lackluster personalities-one cannot argue that the stars helped create a fashion feast for the eyes. From the streets of Paris, to the canals of Venice-and most notably the beautiful and elegant look of Angelina Jolie’s character Elise Ward…I give this movie a fashion thumbs up! We already knew that Angelina Jolie can rock almost any look on the red carpet, but when off duty her choices usually seem more utilitarian and practical given her globe trotting life style. So it was Refreshing to see her as Elise Ward-a femme fatale of sorts and modern-day Hitchcock Heroine wearing elegant, classy ensembles as she strolls the canals of Venice as though on a runway. Some of my favorite looks include a White Silk evening gown, a Cream colored dress with beige shrug and an elegant black ball gown. Costume designer Colleen Atwood took inspiration from legendary Costume designer Irene Lentz to create this iconic screen goddess look. 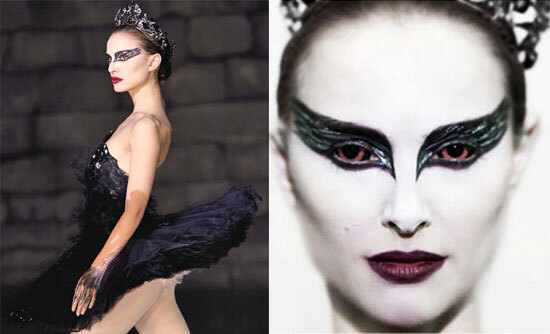 The fashion designer team behind the Rodarte fashion label — sisters Kate and Laura Mulleavy — designed the costumes for the highly-praised psychological thriller “Black Swan”. The film, from Academy Award-nominated director Darren Aronofsky, stars Oscar winning actress Natalie Portman and the Oscar nominated actress Mila Kunis as rival ballerinas. The film’s costume designer, Amy Westcott, wanted to reinvent the classic imagery of “Swan Lake,” looking for contemporary designs with a darker touch, to keep in line with the film’s underlying themes of good vs. evil , elegance and edginess. With this, she sought out Kate and Laura who are quoted as saying that they “were inspired by ballet and horror film-related imagery-and were trying to convey the psychology of the film and that world by showing a darker nature and twisted tale of a nearly broken Ballerina.” And while Portman’s character comes unraveled by the film’s finale, her appropriately designed costumes allow her to retain the grace of a ballerina while taking her swan dive.